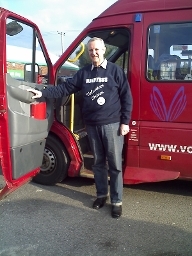 Community transport is the name given to not-for-profit, often volunteer-run groups that provide local passenger transport. They help West Berkshire residents who may not have access to other forms of transport, get around our district. Community transport groups are generally aimed (but not exclusively) at increasing the independence, mobility and peace of mind of older and disabled people. West Berkshire makes a contribution to their running costs in some cases. Find out about volunteering with a minibus or community car scheme online. Community Car Schemes are operated by volunteers that give up their own time, and use their own vehicles, to drive people to a variety of locations on a doorstep to doorstep basis. They aren't taxi services and do require at least 48 hours notice if a journey is required. They are generally there to help older and mobility impaired people who are unable to use public transport and who don't have their own means of getting around. They're used particularly when someone needs help to get to medical appointments. The schemes often require a small donation from passengers to help with running costs, but this should be agreed up front when you book. Find a scheme near you with our Community Car Schemes leaflet [488kb], or using the West Berkshire Directory. Community minibus operators arrange trips to support local communities. The schemes are mainly focused on helping older people and people with mobility impairments, but they can be booked by other groups or organisations. The services are provided by charitable organisations across West Berkshire . The groups require a small donation to assist in the operation of their schemes, but should agree this up front at the time of booking. Sight-seeing trips or "days out"
Occasionally, individual bookings are taken, but it is subject to availability.